We had only heard rumors up until now about Samsung's upcoming virtual assistant and the artificial intelligence that powers it, but it has now been confirmed by Samsung officially. Previously, Samsung had filed for patenting the name "Bixby" and reports are suggesting that's exactly what the AI assistant will be called on release. Also, the good news is that it will be launched along with the upcoming S8 as expected. In the official statement by Executive Vice President Rhee Injong, "Developers can attach and upload services to our agent,"
Although this means that third party services will be supported, Samsung did not specify any details about which ones it will work with or how exactly it will work with them. It will be interesting to see how the AI developed by the Korean electronics giant manages to stack up against the competition and especially the likes of the mighty Google Assistant that is now exclusively available to the Pixel phones. What do you call Samsung’s new AI virtual assistant? “Bixby” Of course! The Samsung Galaxy S8 is coming and it probably has more attention on it than any of its predecessors because of the Note 7 disaster and all the hope that rests upon its slick shoulders. Things so far are looking quite promising to be honest and today we have one more detail for you regarding the upcoming smartphone. "Bixby" is possibly going to be the name of the AI virtual assistant that may debut with the Galaxy S8 in 2017. This conclusion was reached after Samsung filed to copyright the name "Bixby" in South Korea just recently. The details regarding the trademark are as follows. "computer software for personal information management," "computer application software for smartphones, mobile telephones, portable computers and tablet computers, Namely, software used to operate voice recognition system" and "computer software for enabling hands-free use of a mobile phone through voice recognition." If the details aren't enough to convince you, consider the fact that this news comes hot in the heels of Samsung's acquisition of Viv Labs last month. Viv Labs was closely associated and instrumental in creating Siri, the extremely popular and successful AI digital assistant found on the Apple iPhones. In case you don't agree, what do you think Bixby signifies? 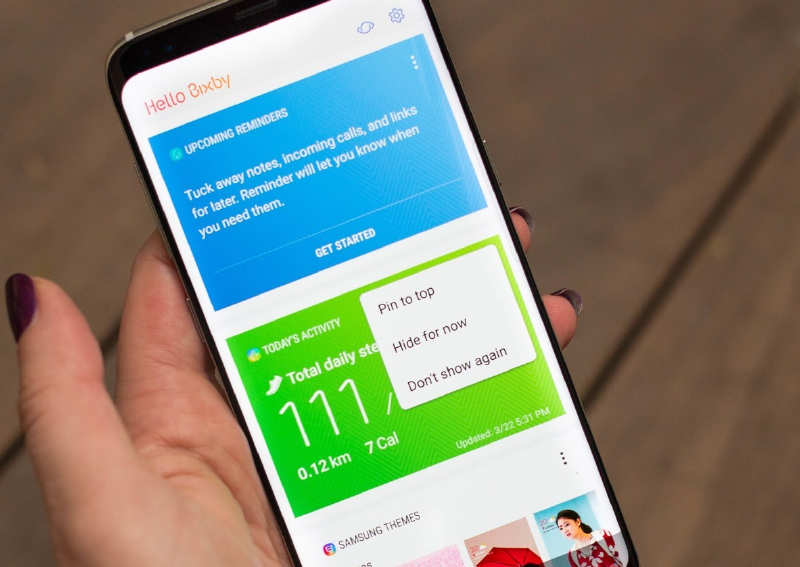 Tags: galaxy confirmed have virtual assistant bixby what call samsung’s new virtual assistant? bixby course! 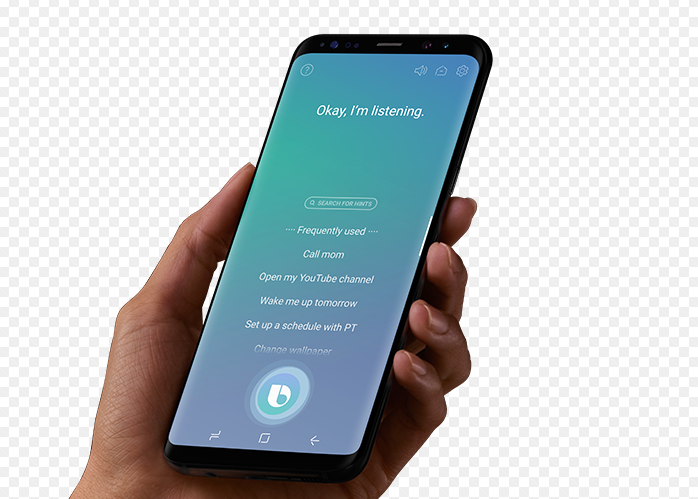 If you are wondering what Bixby is, then you probably do not know about Samsung's upcoming AI powered voice assistant that will probably debut with the Galaxy S8. In fact, Samsung had acquired Viv Labs with the primary intent of developing the AI based digital assistant for its next flagship handset. Viv Labs is responsible for the creation of Apple's voice assistant, Siri. Although the name Bixby isn't official yet, all reports are suggesting that's what it will be called on release. It remains to be seen how well the new AI assistant stacks up against the likes of Microsoft's Cortana, Google Assistant and of course, Apple's Siri. 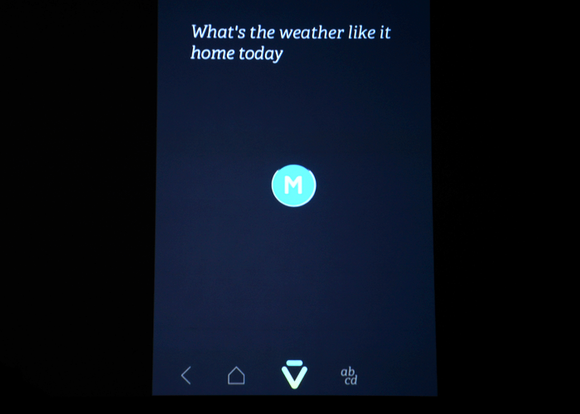 Nevertheless, many are already calling it the most advanced AI assistant ever to be built for a smartphone. The main reason behind such lofty expectations is of course the fact that it is being developed by Dag Kittlaus, Adam Cheyer and Chris Brigham; the same people who developed Siri for Apple. Judging by how well Apple's voice assistant was implemented and how successful it became in the following years, it isn't unrealistic to expect that they will do something even more impressive with Bixby, given that they now have access to more information and technology than before. Ending all rumors and speculations, Samsung has indirectly confirmed the existence of two things yesterday. 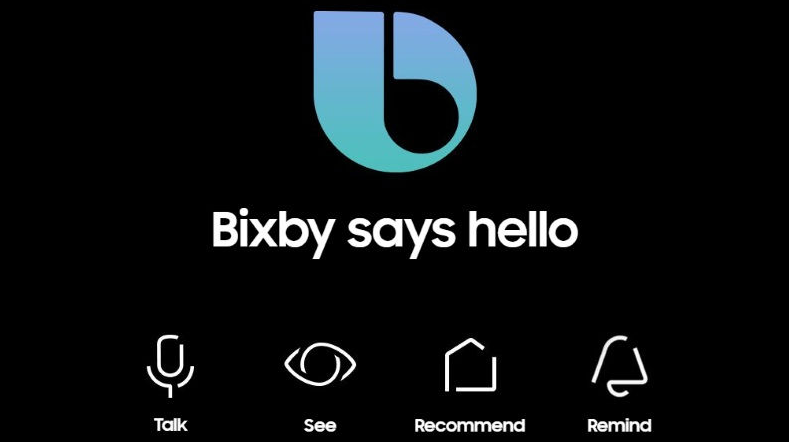 The first is of course Bixby; the digital AI based voice assistant, which will presumably debut with the Galaxy S8. Samsung Pay Mini is the second premature revelation that was made, confirming the existence of the independent online payment service. 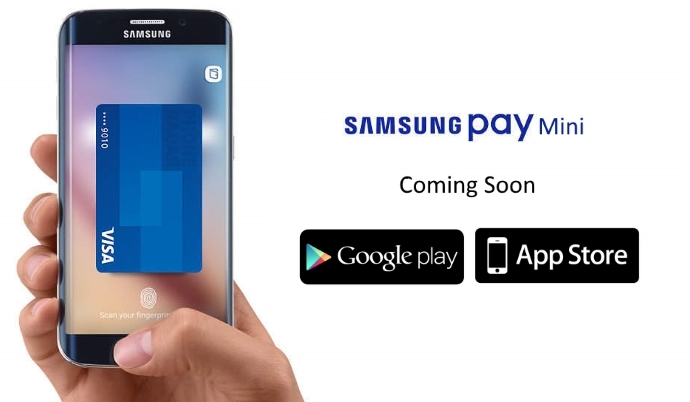 As you can probably guess, Samsung Pay Mini is a minimalistic version of Samsung Pay. It can only be used to make payments via the internet on websites, unlike its bigger brother Samsung Pay, which has a much larger scope in that department. The voice assistant Bixby will work in tandem with the payment service to presumably enable voice-based financial transactions. Even though we are stating that these have been confirmed by Samsung themselves, they are not yet "official" in the true sense of the term. 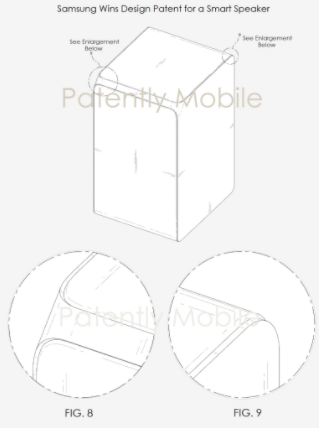 The "confirmations" were gathered from the Samsung Pay Beta page on the company's own website, after these two were mentioned in certain references. We are excited to see Bixby in action and check out at least some of what the AI assistant can do when Samsung (reportedly) reveals the S8 at the MWC Barcelona in February. Samsung has recently filed a patent for "Hello," which seems to be an AI powered software of some sort, just like Bixby. The filing was done with the European Intellectual Property Office and it has created quite a bit of confusion. Previously, it was thought that Bixby was going to be the name of Samsung's upcoming voice assistant, which will likely make its debut with the Galaxy S8 next month. If Bixby is still coming, then where does Hello fit in? This could mean one of two things; either Bixby has been replaced by Hello, or they are both AI powered services which will cater to different needs of the user. However, from the description of the patent, it seems like Hello is a digital AI assistant. "application software that gives personalized features and information based on user's preferences in the fields of weather, music, entertainment, games, travel, science, health, contact, and social news via voice command and voice recognition." To be honest, "Hello" feels like a more natural name to a voice assistant than Bixby and that's probably what Samsung might finally be going with. According to a report by SamMobile, the Bixby button can be reprogrammed to do something other than just opening Samsung's brand new AI assistant Bixby. In spite of Samsung's constant advertising of Bixby, the truth is that it can't really do much that the Google Assistant can't do already and better. 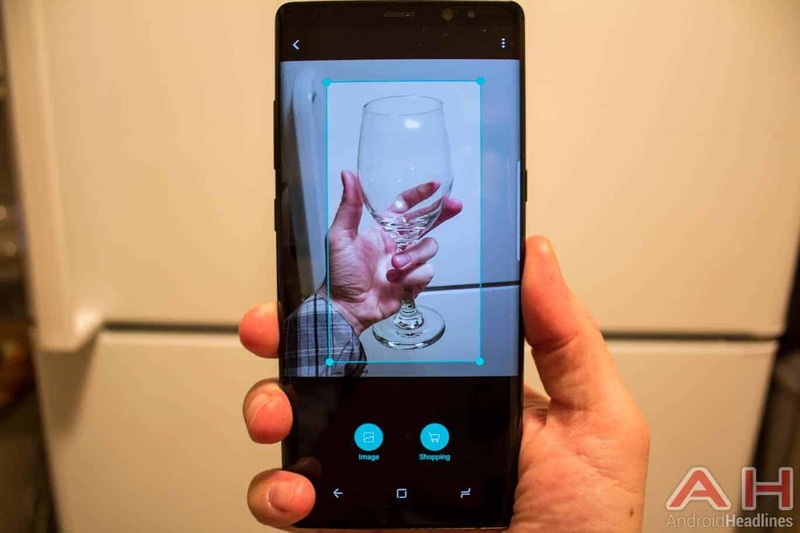 There's of course the image recognition capability where if you click a picture of an object, Bixby shows you multiple options to buy it online, but that's practically the only significant feature that's unique. We will have to wait and see what other features Samsung brings to the software with updates of course. 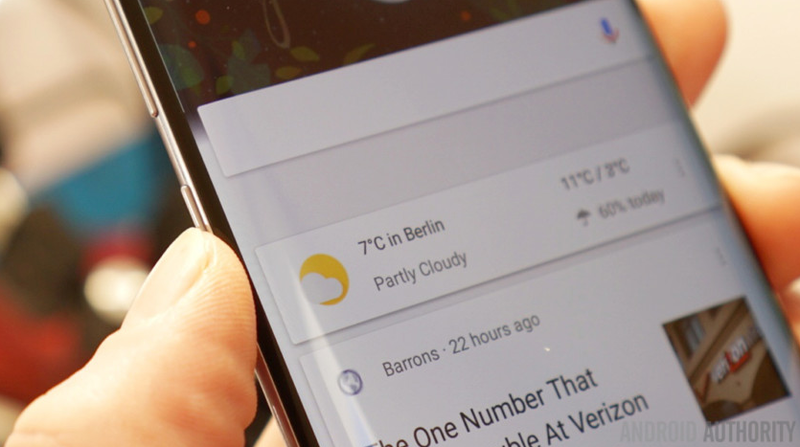 In the meanwhile, if you are satisfied with using Google Assistant and you would like the hardware button to be used as a shortcut to something else like the camera or your favourite app, people have actually found an unofficial way to do so. You will have to download an app from the Google Play Store called All in One Gestures. There's even a convincing video on the entire process and you will find it below. We were disappointed when Samsung did not give us the option to change the button mapping by default and frankly, that made no sense from the point of view of the consumer. However, we are happy that though it will require a third party application, at least it can be done! Are You Okay with Bixby Not Having Voice Functionalities at Launch? It is official now, the much hyped Samsung Bixby won't have any voice functionalities whatsoever at launch. It was a surprising decision by Samsung to exclude a major part of the AI personal assistant experience from the S8 and the S8+, after marketing the missing feature as one of the main selling points of the Galaxy S8 series. We know that this cannot exactly be a voluntary decision as it clearly reflects very poorly on the company's recently tarnished image, but the question is; why advertise something that isn't even ready? Samsung has promised that the missing features from Bixby will be making their way onto select flagship smartphones by spring 2017 in the US, but that is a vague and disappointing declaration to say the least. However, Bixby will still have Vision, Home and Reminder features active and working on the S8 and S8+ on launch. It makes you think if marketing Bixby in the way that they did was a mistake. I mean, to add an extra non-reprogrammable hardware button to your flagship device for a service that isn't even finished yet, sounds like a strange and somewhat stupid decision for a company as big as Samsung is. 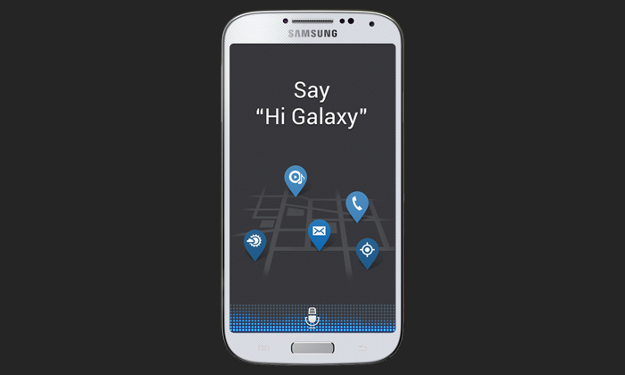 Tags: galaxy confirmed have virtual assistant bixby what call samsung’s new virtual assistant? bixby course! samsung’s bixby vs. apple’s siri samsung pay mini bixby now official samsung could new bixby possible reprogram bixby hardware button galaxy okay with bixby having voice functionalities launch? The Korean manufacturer had us all excited by highlighting some of what Bixby would be able to do once it comes out with the Galaxy S8 and S8+. However, it was not meant to be so. After so much marketing, as it stands now, Bixby isn't ready yet! Anyone who will buy the Galaxy S8 or S8+ will only get limited functionality from the AI assistant, which will not even include voice commands. They will hopefully be added soon via OTA updates, but it is an incomplete piece of software right now and the dedicated hardware button on the device's side is a disappointing reminder of that fact. 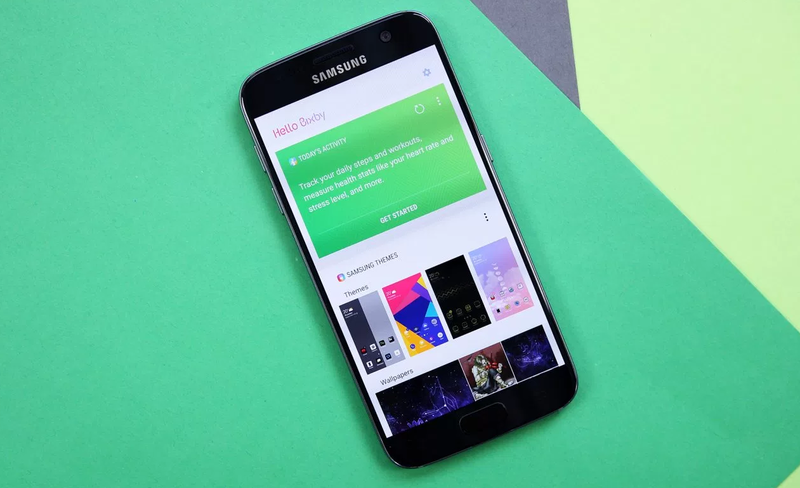 When members of the XDA Developer's Community released an app which lets you remap the Bixby button without rooting the device, most of us were quite happy. However, that was not something that Samsung liked much and via an OTA update, they have made sure that Bixby continues to remain tied to that button unless you decide to root your S8 or S8+. If there is still any doubt in your mind whether or not it was intentional, know that it was. A Tweet from an official representative of Samsung confirmed that little detail. How does it make you feel to know that Samsung won't let you remap a dedicated hardware button for a service that isn't even fully functional yet? Personally, I would have preferred to remap the button to be the shutter key and as a camera shortcut. Samsung promised a lot of things regarding Bixby during the launch event of the Galaxy S8 back in March. However, it disappointed fans across the world when Bixby was released with minimal features which did not even include basic voice commands that every other AI powered smartphone assistant has at this point of time. It only included Bixby Vision and a few other features like Bixby Home and Reminder; all of which has potential but feels incomplete nonetheless. That situation is about to change though as Samsung is now rolling out an update which will enable voice functionalities on Bixby. Currently, it is only going live in South Korea, but I am pretty sure the international rollouts should start within the next few days. 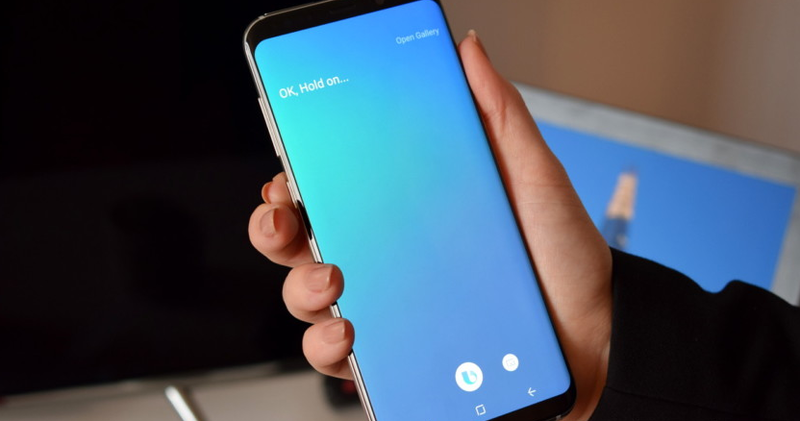 Now that voice command on the S8 is finally a possibility with Bixby, we will have to wait and see if it's actually good enough to do "everything" like Samsung claimed it would be during the launch event, or if it was just a gimmick. In any case, life is going to be hard for Bixby in the nations where Google Assistant is available for use. With its superior set of features, vast experience and the magic that is Google, the Assistant might prove too tough to compete with for Bixby; especially since the S8 also has it right out of the box! According to famous Korean news source ET News, the Galaxy Note 7 FE will officially be launched in South Korea on July 7. We knew that it's coming but now we have a date to look forward to. Although I did say "a date to look forward to," the smartphones will most likely not see the light of day in the US or Europe. Interestingly enough, various reports from around the internet are also indicating the the refurbished phones will be packing Samsung's Bixby digital assistant. Previous reports had suggested that the Note FE would be released by the end of June, but those plans changed once Samsung decided to change up their production numbers by quite a bit. Instead of the 150,000 units which were going to be sold in the country, they have now decided that 450,000 Note 7 FEs will be introduced in South Korea. This move is clearly a result of Samsung sensing a bigger market for the refurbished smartphones than they had anticipated earlier. The Note FE will be exclusive to three South Korean carriers for now and Samsung has not yet revealed any plans of bringing the handsets outside of South Korea till now. The Consumer Electronics Show 2018 might not be the place where Samsung will be showing off the Galaxy S9 and S9+, but that doesn't mean Samsung has come to the show empty handed. Aside from the 146-inch MicroLED TV and a few closed door QLED models which the company unveiled earlier at the show, they have now also showcased something which the Galaxy S9 and S9+ will be able to do via Bixby. All you will need to do is point your camera at an individual food item and Bixby will analyze the image to determine a rough estimate of the calorie count on it. This data will then be included in the Samsung Health app to determine data such as how many calories you are consuming and how much of it you are burning. While this could be very helpful, don't expect the analysis to be accurate, especially since this Bixby feature is still in its experimental stage. Will Bixby “Sense” Your Presence in the Future? While people are not exactly a fan of Samsung's digital assistant yet, the company has not given up on Bixby. On the contrary, they are improving it with each passing day and is hopeful that it will indeed become something unique and grand soon. If you are not sure about the company's efforts in this regard, then know that a latest patent filed by the company seems to indicate that Bixby might be able to "sense" your presence in a room automatically. As you can imagine, this would be a standout feature for the Bixby Speaker when it comes out during the second half of the year to compete against the likes of Amazon's Echo and Google Home. Apparently, the speaker will be fitted with a bunch of additional sensors that will let it detect the physical presence of a human being in the room. One of those sensors will a temperature/humidity sensor, as per the patent. Whether we will really see this when the Bixby Speaker comes out later in the year, remains to be seen. Tags: galaxy confirmed have virtual assistant bixby what call samsung’s new virtual assistant? bixby course! samsung’s bixby vs. apple’s siri samsung pay mini bixby now official samsung could new bixby possible reprogram bixby hardware button galaxy okay with bixby having voice functionalities launch? samsung let remap bixby button any means bixby button can now remapped again bixby now rolling out galaxy s8+ south korea samsung showing off what bixby can these videos galaxy note re-launching july with bixby take long time before bixby voice makes most other countries can now turn off bixby button officially bixby can now count calories your plate bixby “sense” your presence future? These improvements had been rolling out in South Korea for a while now but finally it's here in the US. AT&T has started to roll out a single huge update of 480MB to the Galaxy S8 and Galaxy S8+. 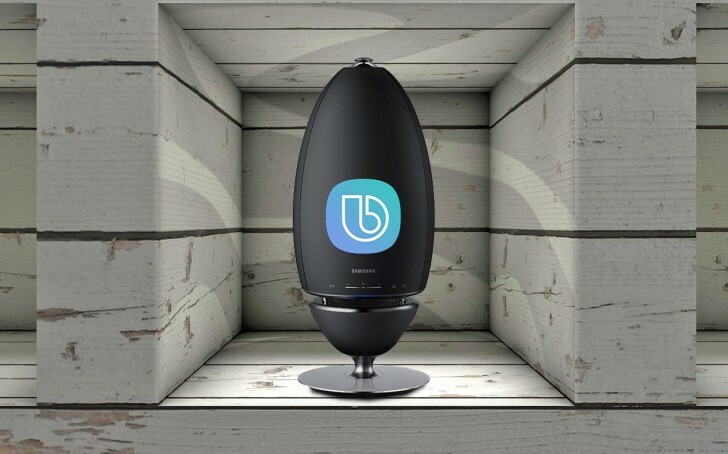 It will address the color calibration settings on the two devices so that the users can set the RGB calibration to their liking and get rid of any unwanted hues. Also included is an improvement to the Bixby hardware button which has something to do with the timing of short-pressing the button. Other improvements include fix for the infamous DQA pop-up error and fix for a 5G access point Wi-Fi compatibility issue. Firmware version G950USQU1AQDE and G955USQU1AQDE are making their way onto the Galaxy S8 and Galaxy S8+ respectively. The only difference in-between the two being the size (the S8 may have a smaller file size). It's good to see the update make its way into the US, but what we would have also liked to see is some of the Bixby functionalities which are currently available for South Korean users, make their way onto other regions as well. After months of wait, the United States is now officially the first English-speaking nation to get a taste of Bixby's voice capabilities. Samsung has announced that the Bixby Voice functionalities are now rolling out to the Galaxy S8 and Galaxy S8 Plus handsets across the States in the form of an OTA update. If you are in the United States and you own either the Galaxy S8 or the S8 Plus, check from Settings > Software Update > Download Updates Manually now, if you have not been prompted automatically for updating your device yet. If it's not there, don't worry, it will be in a few days' time. After seeing a three month delay, the Bixby voice functionalities for the English language is finally out, although support for the Korean language has been out since May. It would be interesting to see if Samsung was indeed right about Bixby being able to handle complex commands or if it was all just marketing. If you are wondering what kind of complex commands we are talking about here, it will apparently be able to recognize natural language and will let you interact with third party apps like Facebook and Gmail without the user even needing to touch his/her phone once. Let us know how well it's working out for you if you already have it. While South Korea had been enjoying the full functionalities of Bixby for a while now, the rest of the world has hardly had any taste of that whatsoever. According to a recent report by SamMobile, multiple major Bixby updates have just hit a lot of the handsets in India, UK, South Africa, Germany and Netherlands among others. Any Galaxy S8 or S8 Plus handsets in these regions should be able to update the eligible Bixby apps now. In case you did not understand what's going on yet, then join the club, because we are not entirely sure either! From what little information is available on the matter, it looks like Samsung is updating Bixby apps on the two devices in multiple regions, but in most of them, Bixby doesn't even have voice functionalities yet. Then again, reports from Germany are indicating that Bixby Dictation is now useable in the country. As Samsung did not make any public announcement yet, the situation is quite confusing at this point of time. Do let us know if you see anything worth mentioning. In case you own a Galaxy S8 or S8 Plus, we have good news for you because the much awaited Bixby Voice update is now reaching the two smartphones across the entire world! Samsung has made it official that starting today, 200+ countries all around the world will be receiving Bixby Voice; a service that was lacking in the AI assistant up until now, in spite of being heavily advertised prior to its launch. No new languages have been added to the voice capabilities of Bixby for now, so we will only be able to use it either in Korean or US English. We are hopeful (so is Samsung) that the language support will expand widely with time, but this is how things stand at this moment. Nevertheless, the support for English will make the assistant useable in most countries. Do you think this global launch of Bixby has anything to do with the Galaxy Note 8 being launched tomorrow? Of course it does! After launching one flagship smartphone without its hyped AI assistant's main functionality, Samsung was not going to make the same mistake again. We will now be waiting for the Note 8's first official appearance tomorrow. Stay tuned for more on that.